We usually stock a variety of tents and camping gear produced by manufacturers such as: Oztrail, Coleman, Outerlimits, Coolabah, Burke and Wills and more. As an independent retailer, we are not obliged to carry a ‘home-produced’ label and instead choose to stock those brands we consider to be of the best quality and value for money. What Type of Tent is for You? 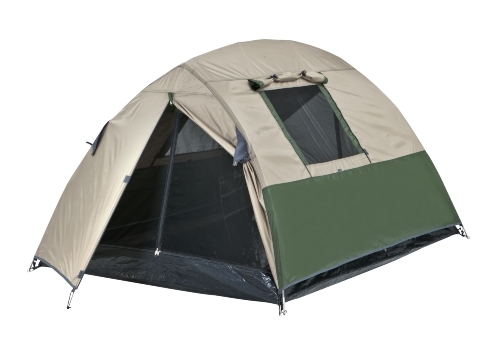 We stock a range of tents suitable for a variety of purposes. We can match tents to each customer’s requirements, budget and preferred camping style. Ask for advice from our staff in store and you’ll take the perfect tent home. Adventure/Hiking Tents – Tents for one person. Quick and easy to put up, resilient and lightweight. Canvas Tents – Perfect for group camping or families, with separate ‘rooms’, canvas tents help make any campsite feel like home. Dome Tents – Quick and easy to put up, dome tents offer convenient comfort. Ensuite Tents / Toilet Tents / Privacy Tents – For camping out bush, these small cubicle style tents are perfect for the portaloo. They also make perfect portable changing rooms (you’ll see them at the local Darwin markets). Lightweight Tents – When space and weight counts, lightweight tents that pack down to a small size are essential. Popular with bikies, backpackers and climbers (see also Tube Tents). 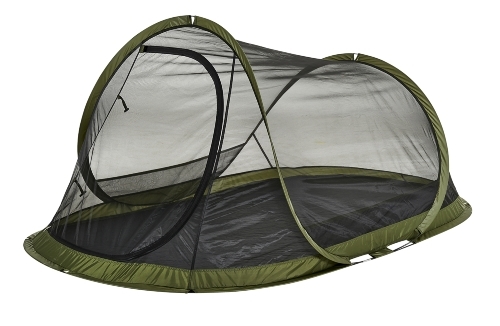 Mozzie Domes – A cross between a swag and a tent, mozzie domes offer one of the coolest ways to camp. Pop Up Tents – One of the fastest tents to put up, with the look of a classic dome tent. Tube Tents – The simplest tent money can buy. Put a rope through the plastic tube and string it up between two trees or poles. Lightweight and dry inside. Which Tents Are the Best? As with most products, with tents you’ll find that you get what you pay for. The best quality tent will always carry a higher price tag. However, we stock a good range of tents (and swags) so you will almost always find something within your budget. How easy/hard it will be to put up and take down. We can give you great advice about our tents. Come and see our range of tents in store.